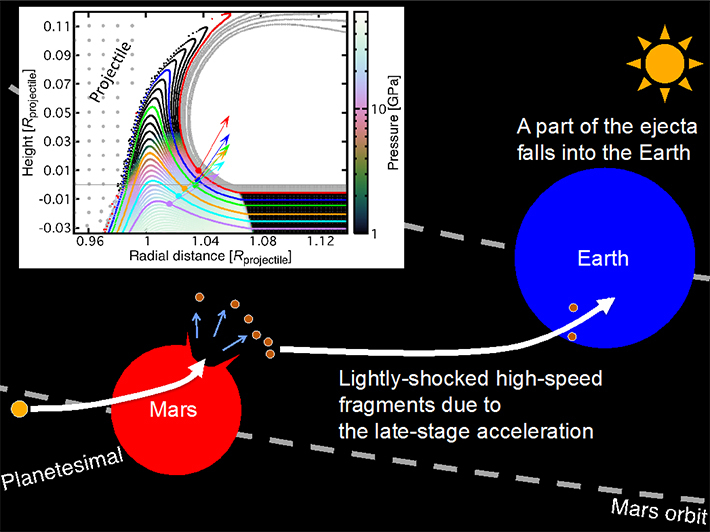 he new discovery of late-stage acceleration has a wide range of implications not only for the Martian meteorites’ launch, but also for material exchange amongst planetary bodies (See Figure 1). Since microbes may survive the relatively weak shock compression, the late-stage acceleration could provide us with new insight into (Litho-)Panspermia. The researchers are planning to do a series of hypervelocity impact experiments to validate the numerically discovered new mechanism using a two-stage light gas gun installed at the Planetary Exploration Research Center, Chiba Institute of Technology, Japan.